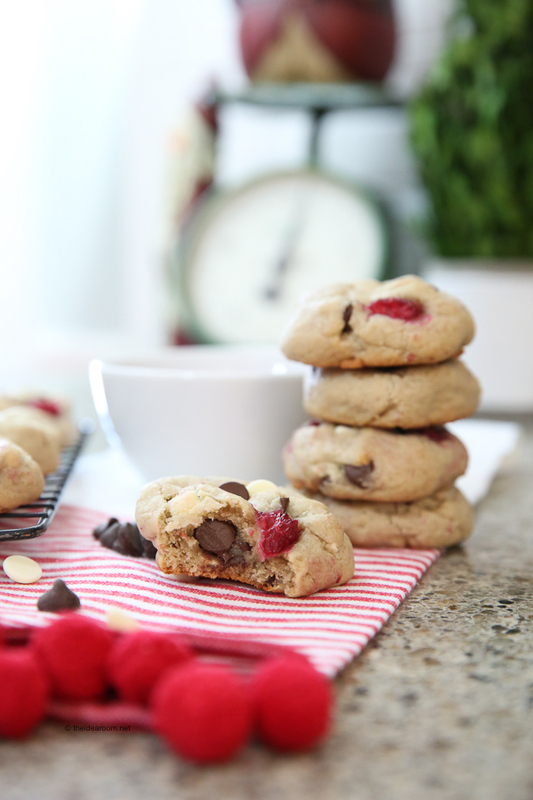 Today I am sharing one of my favorite treats from Disneyland…these Disneyland Copycat Raspberry White Chocolate Chip Cookies! They are so good! Have you ever had one? You can find it at the gift shop by Pooh Corner! It’s pretty tasty and I was excited to give the recipe a go. 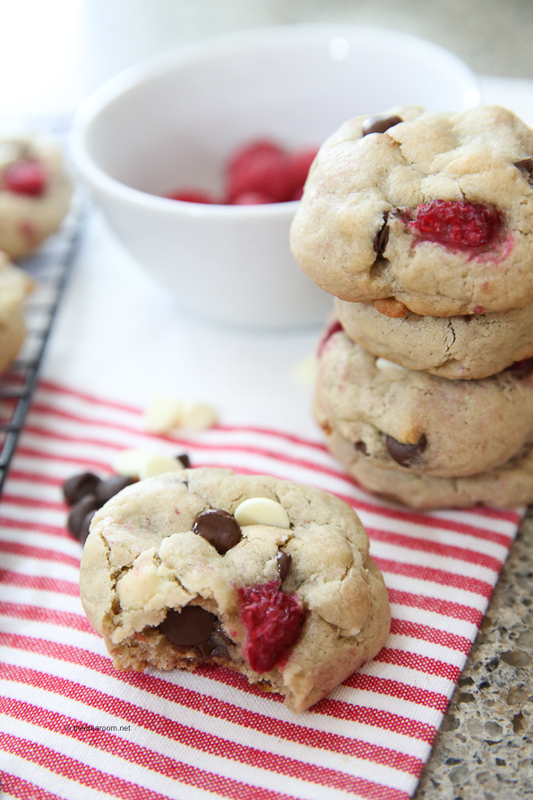 If you love Raspberries and White Chocolate, this one is a must try! I also love that these cookies are really so fun and festive looking! They make a great gift this time of year! They also make a great cookie to serve at the Holiday Cookie Exchange. 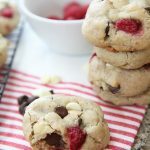 They are fun and unique and are usually one of the first cookies to go at your Holiday Party! 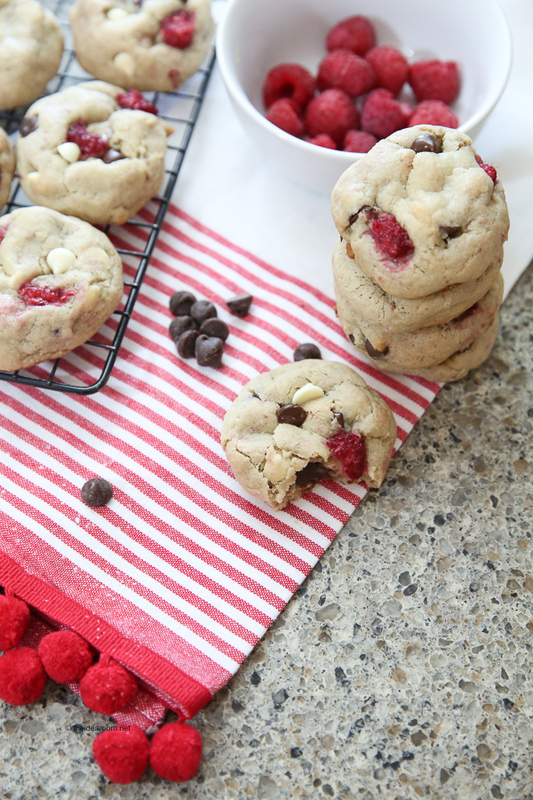 Make your favorite Disneyland cookies with this copycat Raspberry White Chocolate Chip Cookies Recipe. So good and great gift idea or party dessert! Cream the butter & sugars until light and fluffy. Add egg/yolk, vanilla and almond extracts. Mix well. Add white & semi-sweet chocolate chips. 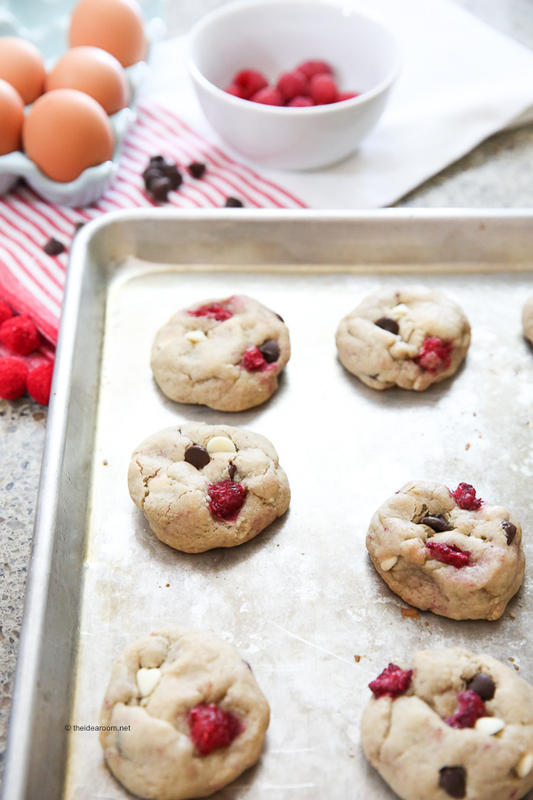 Add raspberries and stir gently to combine them with the dough. Take the dough and scoop by spoonfuls onto a greased cookie sheet. Bake at 350° for 12-17 minutes depending on the size of your cookies. Take them out when the edges are set but the center is still puffy and soft. Cool on baking sheet 5 minutes then transfer to a wire rack to cool completely. All of these bloggers have also teamed up with Getaway Today to give one person a trip to Southern California! 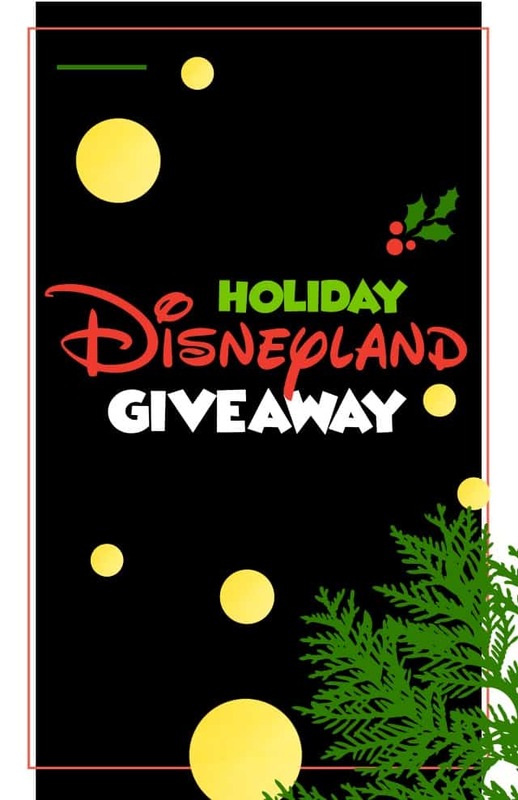 One lucky reader is going to win a 3 night Southern California hotel stay with 2 adult and 2 child 1-day tickets to two attractions of their choice. The parks they can choose from are: Disneyland, California Adventure, Knott’s Berry Farm, Universal Studios Hollywood, SeaWorld, San Diego Zoo, San Diego Safari Park, and Legoland. This is valued at $1,500! If you aren’t familiar with Getaway Today, you should totally check them out. We have done a couple trips through them to Disneyland and have had the best experience. They booked us in a great hotel that was walking distance from Disneyland. They are so knowledgable and easy to work with. They want to ensure you have a great experience and do everything they can to get you your perfect vacation! Barb- It is over. We already announced the winner. Thanks for entering! Barb- Thanks for following along!